Home Screen Lock How to Unlock a Disabled iPhone without iTunes? Hi Darren, Thank you so much for sharing so many helpful tips. I’m now facing an annoying problem. I forgot my passcode which was set a long time ago. I can only access it via fingerprints. Yesterday, when I reboot my iPhone, it required me to enter the passcode which I don’t know. Due to too many incorrect attempts, it was disabled. iTunes failed to unlock it. So, is there any way I can use to unlock a disabled iPhone without iTunes? Any help would be much appreciated! This is one of my readers sent to me. I think there is more than one issue like this. That’s why I made this post. Of course, there are several ways allow you to reset a disabled iPhone without iTunes. Before coming to the article, you should never miss the first part. It’s a little early to say “iTunes failed to unlock my iPhone” before you try the DFU mode with iTunes. Most of the people have been wrong to believe that DFU mode equates to Recovery mode. However, they are different. iPhone restored with DFU mode owns a purer iOS system than Recovery mode. So, when you cannot unlock your disabled iPhone in Recovery mode, you can try to unlock it in DFU mode. Step 1. Connect the device into your computer. Quickly press the Volume Up button then Volume Down button. Press and hold the side button, don’t release it while the screen turns black. Then release the side button and hold the Volume Down button for 10 seconds. Press and hold the Volume Down and side buttons for 10 seconds. Release the the side button and continue holding the Volume Down button for 5 seconds. Press the Home and Power buttons for 10 seconds. 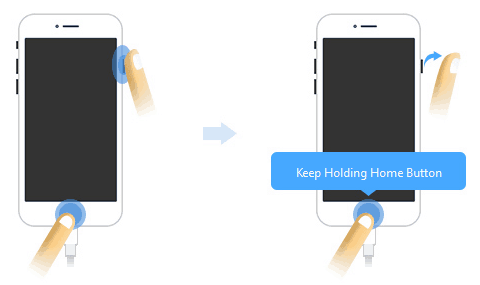 Release the Power button but continue holding Home button for 5 seconds. Step 3. Launch iTunes, you should see a message stating that “iTunes has detected an iPhone in Recovery mode…” although it is in DFU mode. Click OK. Step 4. Then Click on Restore iPhone to download the firmware package to restore your iPhone to the latest iOS. After the above steps, your disabled iPhone will be unlocked. Still need help after reading the first part? 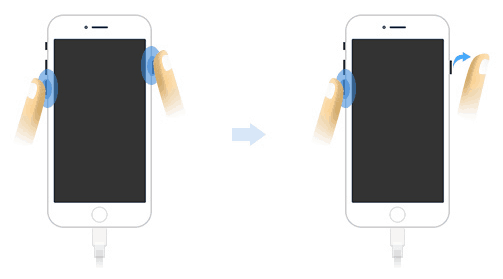 Read on to find the ultimate guide on how to fix a disabled iPhone without iTunes. Like most of my posts, I’ll share pros and cons for each method. Step 1. 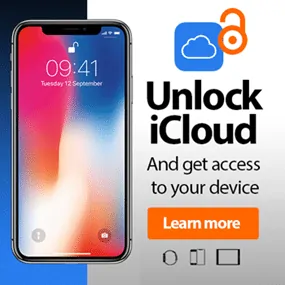 Go to https://www.icloud.com/ via your browser. Step 2. Here, you’ll be asked for iCloud account credentials. Enter the account and password to log in. Step 4. Afterwards, click on “All Devices” at the top of the window. Then choose your disabled iPhone. Play Sound: Make your iOS devices vibrate and play a sound immediately for two minutes. This helps you to find your iPhone if you lost it nearby. 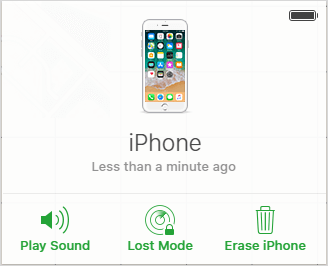 Lost Mode: Allows you to lock and track your lost iOS devices remotely. Erase: Erase all the data and settings from your iPhone (except iCloud account). All of the above options only work when your iPhone is online. Here choose the Erase option. If your device is online, the remote erase begins. Or it will remote erase the next time it’s online. Step 6. Last, set up your device and restore it from your iCloud backup (if available). Let’s see the pros and cons of this method. Unlock iPhone passcode without iTunes. If there is a backup in iCloud, you can unlock your disabled iPhone without losing data. 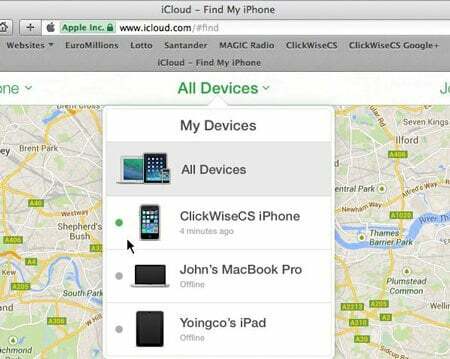 Find My iPhone must be enabled before your iPhone is disabled. It only works when your iPhone is online (connected to the Internet via Wi-Fi or Cellular ). In other words, if both Wi-Fi and Cellular options have been turned off before the iPhone is disabled, this method will never work. If iTunes failed to reset your disabled iPhone, and Find My iPhone hasn’t been enabled, you can still unlock your device. Read on to find how. Neither iTunes nor iCloud work for your disabled device? Fear not, you can also use third-party software. 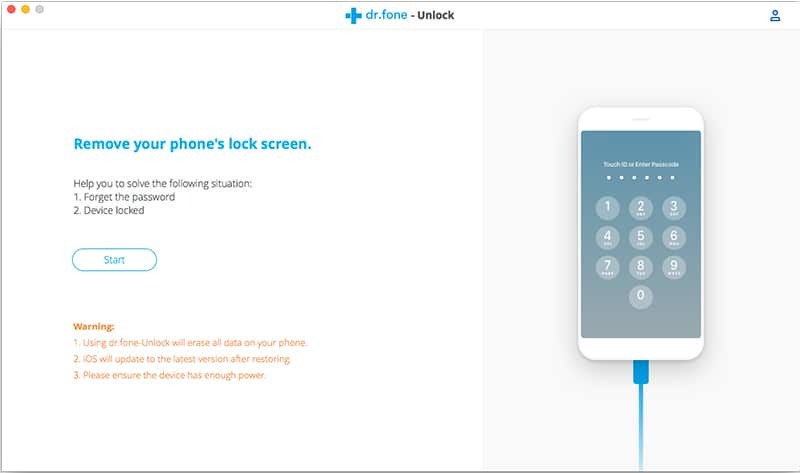 Here recommend dr.fone – Unlock (iOS), this software is the most mature unlock software among competitors. Step 1. 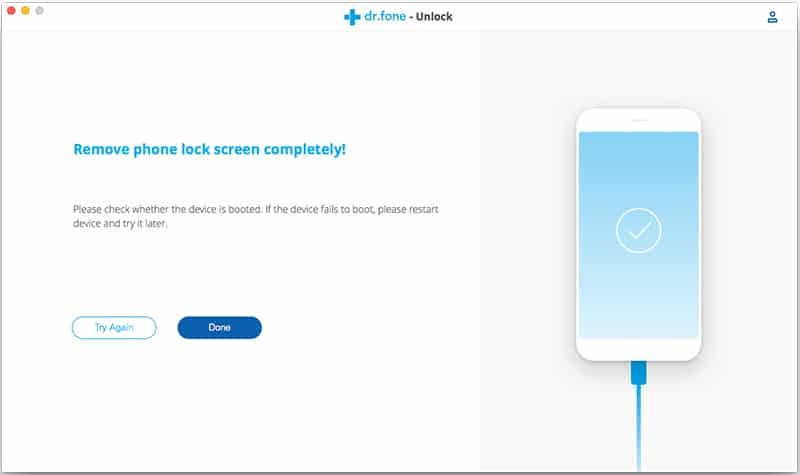 Launch dr.fone – Unlock on your computer. Then click on Start. Step 2. Boot iPhone into DFU/Recovery mode. Step 3. Download the matched firmware package. And start unlock after downloading. It will take about 5 mins to enable a disabled iPhone. 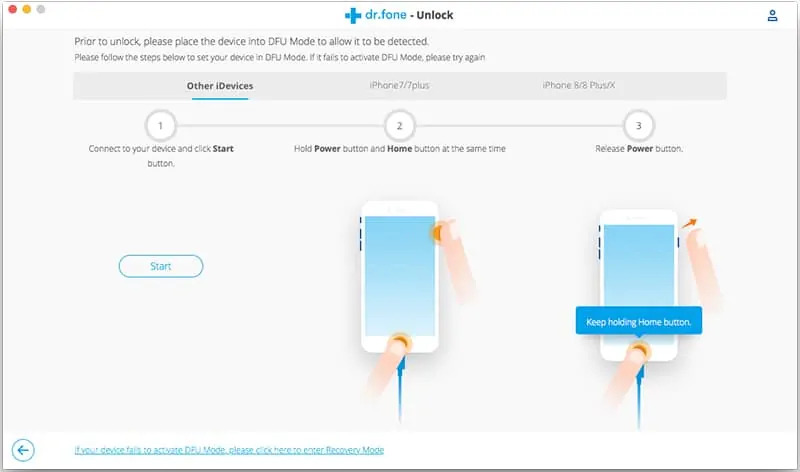 Compared with iTunes, dr.fone has two more unlock methods which enable you to unlock a disabled iPhone while iTunes cannot work for you. Although it owns the highest success rate among all the methods, it’s not free. That’s all about unlocking a disabled iPhone without iTunes or iCloud, if you have any questions, feel free to contact me or leave your comments.